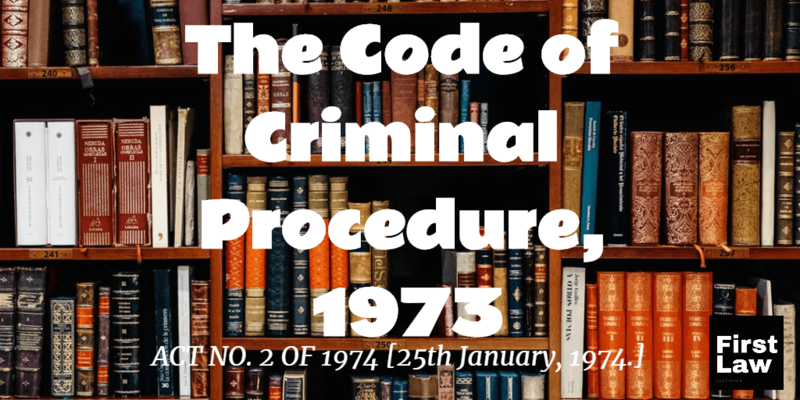 The Code of Criminal Procedure, 1973 - Section 239 - When accused shall be discharged - the placement of the relevant papers i.e. cash memo etc. apart from the fact that same happens to be the subject of verification, is not at all unimpeachable document and that being so, at the stage of 239 Cr.P.C., same could not be taken into consideration. Appearance : For the Petitioner/s : Mr. Umesh Kumar Verma, Adv. Mr. Munna Pd. Singh, Adv. 1. Heard learned counsel for the petitioner as well as learned A.P.P. 2. Petitioner/accused is aggrieved by an order dated 30.11.2017 passed by Sri Sunil Kumar Singh, Judicial Magistrate, 1st Class, Hilsa, Nalanda relating to Nagarnausa P.S. Case No.134/2009, G.R. No.1469/2009 whereby and whereunder prayer of the petitioner to discharge in accordance with Section 239 Cr.P.C. has been rejected. 3. In order to support the plea, it has been argued at the end of the learned counsel for the petitioner that petitioner happens to be government servant (teacher). On the same allegation he was departmentally prosecuted and was exonerated on the ground that no misappropriation at his end has been committed. So urged that in the background of aforesaid finding, instant prosecution would not survive. In addition thereto, it has also been urged that the petitioner had furnished details of account concerning the cash received by him which has been accepted by the Department whereupon exonerated from the charge of misappropriation. 4. It has further been submitted that at the stage of 239 of the Cr.P.C. the Magistrate is not expected to act as a post office nor mouth piece of the prosecution. The court has to scrutinize the material more particularly, in the given facts and circumstances of the case, on account of exoneration of charges during departmental proceeding, would have taken a sound legal ground to discharge the petitioner and that being so, the order impugned is bad and is fit to be set aside. Learned counsel for the petitioner on that very pretext has relied upon Ramdoss vs. K. Thangavelu reported in (2000) 2 SCC 135, Om Prakash Gupta vs. State of Bihar reported in 2000(2) PLJR 238, P.S. Rajya vs. State of Bihar reported in (1996) 9 SCC 1, Dr. Shiv Kumar vs. State of Bihar reported in 2018(1) PLJR 412, Naresh Kumar Yadav vs. The State of Bihar & Anr. reported in 2013(4) PLJR 828. 5. On the other hand, the learned A.P.P. opposed the prayer and submitted that at the stage of framing of charge, the mode of consideraion of the material happens to be weaker than prima facie case as has been held in Amit Kapoor vs. Ramesh Chander reported in (2012) 9 SCC 460. Consequent thereupon, the order impugned did not attract interference whereupon, his petition is fit to be rejected. 6. Area Education Officer, Noorsarai, as per direction of the District Superintendent of Education filed written report as, the Incharge Headmaster, Moti Prasad even on superannuation, has not handed over complete charge nor furnished account with regard to withdrawal of lacs of rupees prior to 30.09.2007. The aforesaid order contained the inquiry report submitted by the Area Education Officer wherein he had incorporated that even after superannuation of Moti Sah, the Incharge Headmaster he had not handed over full charge nor he had submitted accounts with regard to withdrawal at his end prior to 30.09.2007. It has also been disclosed that the amount has been withdrawn by Moti Prasad after having counter signature of Shyam Kishore Prasad @ Madan Prasad (petitioner) and during course thereof, huge amount has been withdrawn through cheque having in name of Shyam Kishore Prasad and for that Shyam Kishore Prasad has also not furnished account. It has also been disclosed that in spite of account being jointly operated by the Moti Prasad and Shyam Kishore Prasad, in account register there happens to be endorsement only at the end of Moti Prasad, having signature of Moti Prasad but nothing has been at the end of Shyam Kishore Prasad with regard to withdrawal having at his end. On query, Shyam Kishore Prasad disclosed that the original register has been changed by Moti Prasad in order to misappropriate the amount. It has also been disclosed that the members of the committee namely Chandrika Lal, Kailash Prasad had withdrawn Rs.2,71,200/- but, the details of same has not been furnished. Then there also happens to be disclosure with regard to malfunctioning of midday meal programme. 7. Initially, FIR was registered only against Moti Prasad. Though presence of petitioner was in the report annexed with the written report but was not arrayed as an accused at the time of registration. However, during course of investigation he has been made an accused, charge sheeted and as is evident, after having appearance of the accused persons when the matter came up for charge, a petition has been filed at the end of the petitioner attracting for discharge whereupon, the order impugned has been passed, subject matter of challenge under instant petition. 8. Whether at the stage of framing of charge the documents having at the end of the accused is to be considered or not has been subject to consideration in Three Judges Bench State of Orissa vs. Debendra Nath Padhi reported in (2005) 1 SCC 568 and the same view has been followed in Rukmini Narvekar vs. Vijaya Satardekar & Ors. reported in (2008) 14 SCC 1. “22. Thus in our opinion while it is true that ordinarily defence material cannot be looked into by the Court while framing of the charge in view of D.N. Padhi's case (supra), there may be some very rare and exceptional cases where some defence material when shown to the trial court would convincingly demonstrate that the prosecution version is totally absurd or preposterous, and in such very rare cases the defence material can be looked into by the Court at the time of framing of the charges or taking cognizance. In our opinion, therefore, it cannot be said as an absolute proposition that under no circumstances can the Court look into the material produced by the defence at the time of framing of the charges, though this should be done in very rare cases, i.e. where the defence produces some material which convincingly demonstrates that the whole prosecution case is totally absurd or totally concocted. We agree with Shri Lalit that in some very rare cases the Court is justified in looking into the material produced by the defence at the time of framing of the charges, if such material convincingly establishes that the whole prosecution version is totally absurd, preposterous or concocted. The same view has reiterated in Harshendra Kumar D. vs. Rebatilata Koley Etc. reported in 2011(3) PLJR 100 (SC). That being so, the placement of the relevant papers i.e. cash memo etc. apart from the fact that same happens to be the subject of verification, is not at all unimpeachable document and that being so, at the stage of 239 Cr.P.C., same could not be taken into consideration. “15. Now we proceed to consider the question of law referred to us, i.e., whether the prosecution against an accused, notwithstanding his exoneration on the identical charge in the departmental proceeding could continue or not? “(1) Where the allegations made in the first information report or the complaint, even if they are taken at their face value and accepted in their entirety do not prima facie constitute any offence or make out a case against the accused. (6) Where there is an express legal bar engrafted in any of the provisions of the Code or the Act concerned (under which a criminal proceeding is instituted) to the institution and continuance of the proceedings and/or where there is a specific provision in the Code or the Act concerned, providing efficacious redress for the grievance of the aggrieved party. “21. The present case can be brought under more than one head given above without any difficulty. 19. Even at the cost of repetition, we hasten to add none of the heads in the case of P.S. Rajya (Supra) is in relation to the effect of exoneration in the departmental proceedings on criminal prosecution on identical charge. The decision in the case of P.S. 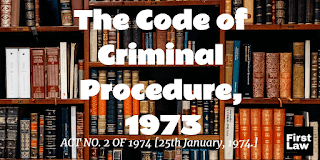 Rajya (Supra), therefore does not lay down any proposition that on exoneration of an employee in the departmental proceeding, the criminal prosecution on the identical charge or the evidence has to be quashed. From the reading of the aforesaid passage of the judgment it is evident that the prosecution was not terminated on the ground of exoneration in the departmental proceeding but, on its peculiar facts. 24. Therefore, in our opinion, the High court quashed the prosecution on total misreading of the judgment in the case of P.S. Rajya (Supra). In fact, there are precedents, to which we have referred to above speak eloquently a contrary view i.e. exoneration in departmental proceeding ipso facto would not lead to exoneration or acquittal in a criminal case. On principle also, this view commends us. It is well settled that the standard of proof in department proceeding is lower than that of criminal prosecution. It is equally well settled that the departmental proceeding or for that matter criminal cases have to be decided only on the basis of evidence adduced therein. Truthfulness of the evidence in the criminal case can be judged only after the evidence is adduced therein and the criminal case can not be rejected on the basis of the evidence in the departmental proceeding or the report of the Inquiry Officer based on those evidence. 25. We are, therefore, of the opinion that the exoneration in the departmental proceeding ipso facto would not result into the quashing of the criminal prosecution. We hasten to add, however, that if the prosecution against an accused is solely based on a finding in a proceeding and that finding is set aside by the superior authority in the hierarchy, the very foundation goes and the prosecution may be quashed. But that principle will not apply in the case of the departmental proceeding as the criminal trial and the departmental proceeding are held by two different entities. Further they are not in the same hierarchy. “It is well settled by this Court in catena of judgments including the cases of Union of India v. Prafulla Samal, (1979) 3 SCC 4; Dilawar Babu v. State of Maharashtra (2002) 2 SCC 135 Sajjan Kumar v. CBI (2010) 9 SCC 368; State v. A. Arun Kumar (2015) 2 SCC 417; Sonu Gupta v. Deepak Gupta (2015) 3 SCC 424; State of Orissa v. Debendra Nath Padhi (2003) 2 SCC 711; Niranjan Singh Karam Singh Punjabi etc. v. Jitendra Bhimraj Bijjayya (1990) 4 SCC 76 and Superintendent & Remembrancer of Legal Affairs, West Bengal v. Anil Kumar Bhunja (1979) 4 SCC 274 that the Judge while considering the question of framing charge Under Section 227 of the Code in sessions cases (which is akin to Section 239 Code of Criminal Procedure pertaining to warrant cases) has the undoubted power to sift and weigh the evidence for the limited purpose of finding out whether or not a prima facie case against the Accused has been made out; where the material placed before the Court disclose grave suspicion against the Accused which has not been properly explained, the Court will be fully justified in framing the charge; by and large if two views are equally possible and the Judge is satisfied that the evidence produced before him while giving rise to some suspicion but not grave suspicion against the Accused, he will be fully within his rights to discharge the Accused. The Judge cannot act merely as a Post Office or a mouth-piece of the prosecution, but has to consider the broad probabilities of the case, the total effect of the statements and the documents produced before the Court, any basic infirmities appearing in the case and so on. This however does not mean that the Judge should make a roving enquiry into the pros and cons of the matter and weigh the materials as if he was conducting a trial. 11. Accordingly, instant petition sans merit and is rejected.